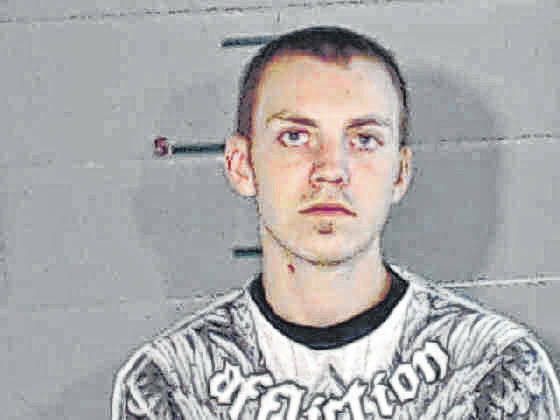 GALLIPOLIS — Joshua Buttrick, 28, of Gallipolis, was sentenced to six years in a state facility by Judge Margaret Evans after pleading guilty to second-degree felonious assault in the Gallia Court of Common Pleas, Tuesday. While living, the late Miranda Thompson, then 33 and Buttrick’s former significant other, was previously discovered by law enforcement with significant injuries and bruising which led her to being hospitalized at Saint Mary’s Medical Center in October of last year. Buttrick reportedly gave a number of statements to law enforcement and admitted to hitting and kicking and being the cause of those injuries, said Gallia Prosecutor Jason Holdren. Miranda was reported as missing October 13, 2018 after leaving Saint Mary’s Medical Center in Huntington, W.Va. Miranda’s deceased body was discovered as part of a joint investigation between Ohio Bureau of Criminal Investigation, the Gallipolis Police Department and Gallia Sheriff’s Office in a wooded area in Gallipolis Township, November 4, 2018. Buttrick, at max, could have received eight years in prison. Holdren had previously represented Buttrick in West Virginia on an unrelated matter. The court did not find that to be in conflict with Buttrick’s case, however, Holdren stepped back to allow Gallia Assistant Prosecutor Jeremy Fisher to oversee the state’s representation in the hearing when Buttrick’s counsel mentioned the previous representation for the court’s record. Riggs went on to say that in her opinion Buttrick was a narcissist and a sociopath who was reportedly selling Miranda’s purses on social media shortly after her entry into the hospital. Riggs said she felt Buttrick was a manipulative person. She said if it were up to her, he would never see the light of day, but agreed to the six-year sentence plea arrangement requested by the prosecution and felt most strongly for Miranda’s three children. Miranda’s mother, Mona Thompson, made a brief statement saying she had heard the fighting and saw bruising. She said when Buttrick was not “at the house,” he was calling Miranda constantly wanting to know what she was doing and who was around. “He wanted to control everybody in the house,” said Mona. She said she felt the time wouldn’t be enough. Prosecuting attorneys said that Miranda was placed in a neurotrauma care center. She reportedly had an L-3 spinal fracture, multiple bruises throughout her body, eyes swollen shut, pieces of her scalp missing, while also being on a ventilator. She was reportedly discovered by Gallipolis police with a weak pulse and laying on her doorstep. The officer reportedly began CPR on her until paramedics arrived. She was then taken to Holzer Medical Center before ending up at Saint Mary’s Medical Center. Buttrick was represented by defense counsel Andrew Noe and Barbara Wallen. Counsel said that Buttrick was aware of his actions and that he did feel remorseful for them. The investigation into the circumstances surrounding Miranda’s death is still ongoing.